The Siri Remote is capable of so much more than help you move around the Apple TV’s Home screen. 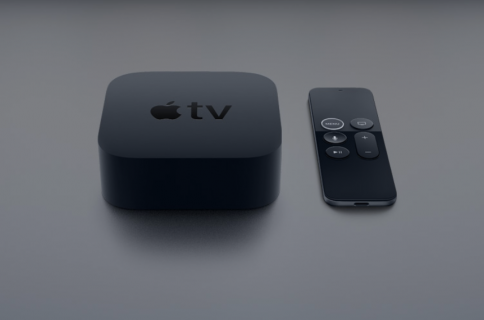 Its physical buttons, built-in sensors, mic and Bluetooth networking, along with programmable features accessible through the Settings app, let you control media playback with precision, converse with Siri, restart your set-top box, adjust your TV volume, launch and force-quit apps and much more. 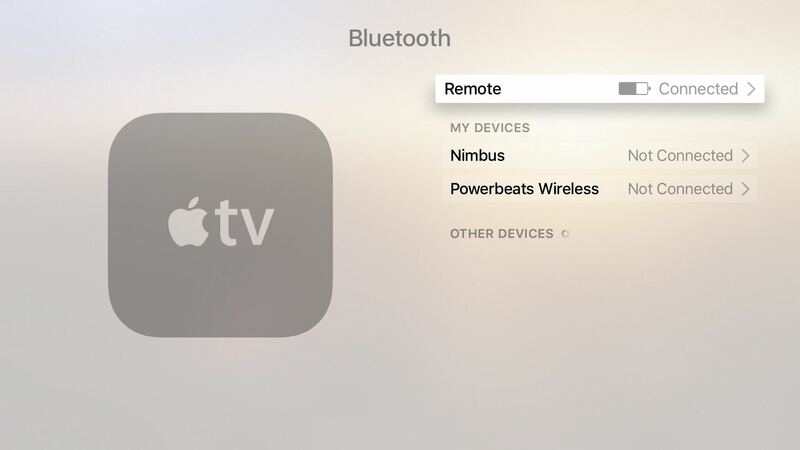 In this tutorial, you’ll learn not only the basics of using the Siri Remote to navigate apps and settings on your Apple TV, but also the secrets to unlocking its full potential and use it in not-so-obvious ways. The Siri Remote has five buttons: Menu, Home, Siri, Play/Pause and Volume Up/Down—and a smooth Touch surface that recognizes swipes and gestures. When you click the Touch surface, it makes a clicking sound and selects the highlighted item. At the Touch surface’s top is a hole for the built-in microphone. An additional mic hole is on the back for suppressing background noises so Siri can hear your more clearly. On the inside, the remote packs in an infrared transmitter to control the volume of your TV or other home theater devices, Bluetooth 4.0 to talk to your Apple TV and has accelerometer and gyroscope sensors for tilt-based controls in games. A Lightning port at the bottom is used to charge a built-in battery. Your Siri Remote comes automatically paired to its Apple TV. Should you need to manually initiate the pairing process—for instance, if the remote disconnects or you get a replacement unit—point it at the Apple TV’s front and hold the Play/Pause button and the Volume Up button for two seconds. An on-screen message appears when the remote is successfully paired. 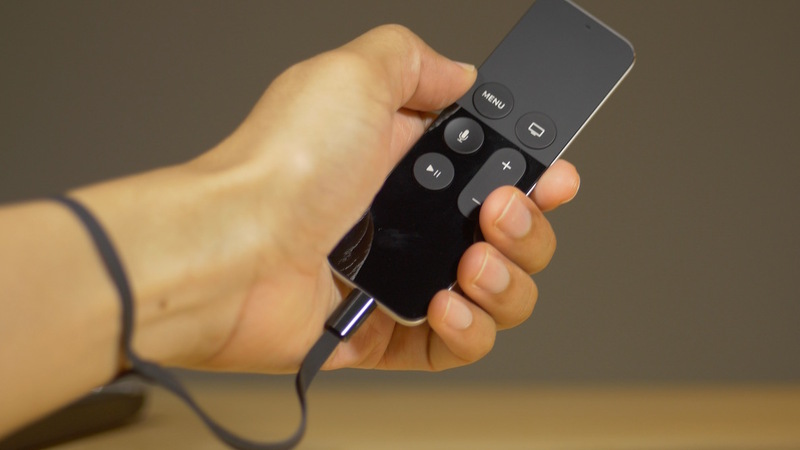 To charge the Siri Remote, connect one end of a Lightning cable to the Lightning port on the remote’s bottom and the other end to a USB port on your Mac or power adapter. According to Apple, your Siri Remote provides months of use on one charge with typical daily usage. Its 410 mAh lithium-ion battery takes about three hours to fully charge and you can continue using the remote while it charges. To remaining battery life is shown after selecting your remote in Settings → Remotes and Devices → Bluetooth. Use soft, lint-free cloth or microfiber cloth to clean the Siri Remote. Avoid spraying Windex, rubbing alcohol and other solvents onto the accessory as those chemicals will dissolve the oleophobic coating on the Touch surface and may penetrate the microphone or Lightning port and damage the internals. The best way of getting rid of the dirt on the remote is to spray a piece of soft cloth with some water rather than the device itself, which could cause water to run along miniature cracks and work its way into the hardware. Avoid using towels with lints, paper towels and bathroom tissue because these materials have pretty rough surfaces that may scratch the remote. Your Siri Remote is a great controller in games that support tilt-based controls. Thanks to its accelerometer and gyroscope sensor, games respond to movements you make in the air with the remote. Some games require you to hold the remote in either horizontal or vertical orientation while others support both modes of operation. If you play a lot of games on your Apple TV, do yourself a favor and buy a Remote Loop to secure the Siri Remote and prevent it from flying across the room. Move between items—Swipe up, down, left or right on the Touch surface. Select items—Swipe to highlight an item, then click the Touch surface. You can also click and hold the Siri button and say the name of an on-screen item, menu bar or other control in an app to select it quickly. Return to the previous menu— Click the Menu button. Return to the Home screen—Click the Home button. Move focus to the top-left Home screen icon—Click the Menu button once to move the focus to the app in the top left corner of the Home screen. Interact with parallax artwork on app icons—Apple TV icons are made from layered images which tvOS uses to create the parallax effect. Highlight the Home screen app and then move your finger slowly over the Touch surface to see how the different image layers within the icon move to create the illusion of depth. Access contextual menus—Highlight an item and then click and hold the Touch surface. If there are hidden options available, they will appear in a pop-up menu. Wake from sleep—To wake your Apple TV, click any button on the Siri Remote. To make on-screen selections easier to spot, enable tvOS’s high-contrast cursor in General → Accessibility → Increase Contrast → Focus Style. By the way, you can adjust sensitivity of the Siri Remote’s Touch surface to your liking in Settings → Remotes and Devices → Touch Surface Tracking. 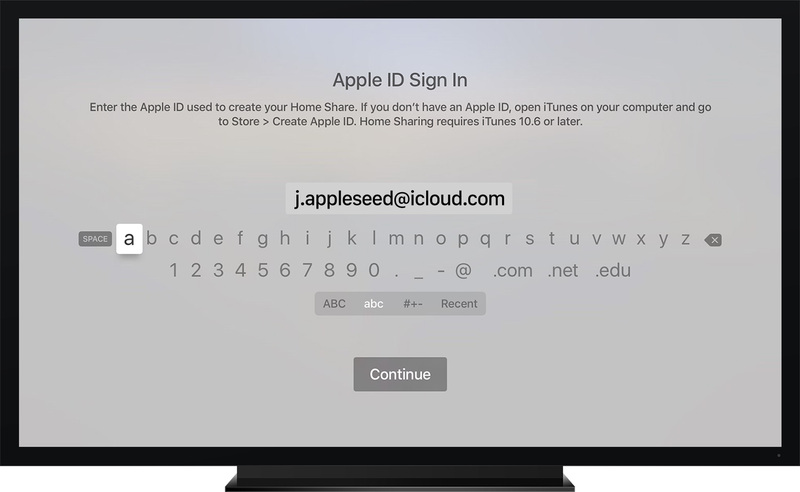 Pecking away on the Apple TV’s software keyboard is not fun. Whenever the two-line keyboard pops up, swipe with your thumb on the Touch surface to select a letter and click it to type the character. However, you can also tap left/right on the Touch surface to move the selection cursor across the keyboard one character at a time. To select uppercase, lowercase, numbers or special symbols, click the Play/Pause button or swiping down on the Touch surface to toggle between the keyboards quickly. Click and hold a character to choose between alternate characters like letters with an accent mark. TV sets, receivers and other home theater devices that support the HDMI Consumer Electronics Control (HDMI-CEC) standard, as well as those stuck with legacy infrared controls, can be controlled with the Volume Up and Down buttons on the Siri Remote. If your TV supports HDMI-CEC, go to Settings → Remotes and Devices, select Volume Control under the Home Theater Control heading and then choose the Auto or TV via IR option. Non-HDMI-CEC compliant devices must be programed to work with the Siri Remote by going to Settings → Remotes and Devices → Volume Control → Learn New Device and following on-screen instructions. After you enable HDMI-CEC integration, or teach your Siri Remote your infrared remote’s tricks, you can adjust the volume levels of your TV and other home theater equipment by clicking the Volume Up and Down buttons on the Siri Remote. Make sure there are no obstacles between the remote and your telly or otherwise your TV won’t register volume key presses. 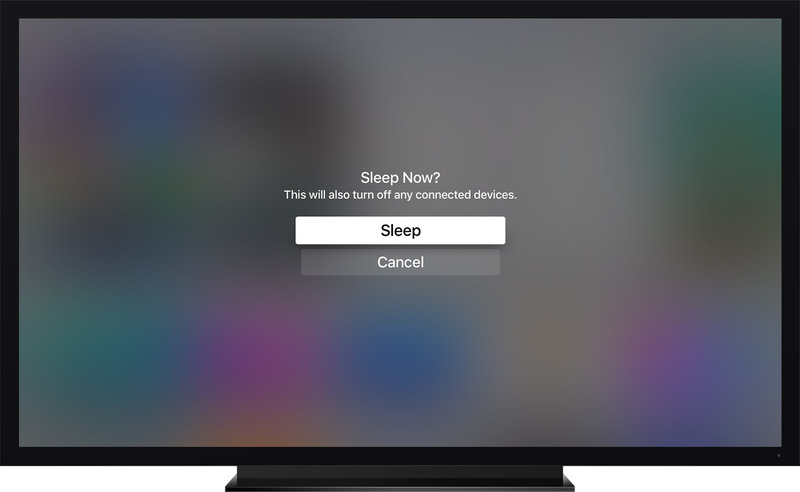 Your Apple TV can automatically turn on the connected TV set or receiver, and switch to the correct HDMI input, right after it wakes from sleep. To turn on this feature, enable the Turn On Your TV with Your Remote option under the Home Theater Control heading in Settings → Remotes and Devices. Now your telly or receiver automatically shuts down after you put the Apple TV to bed, and turns on when you wake the Apple TV from sleep. 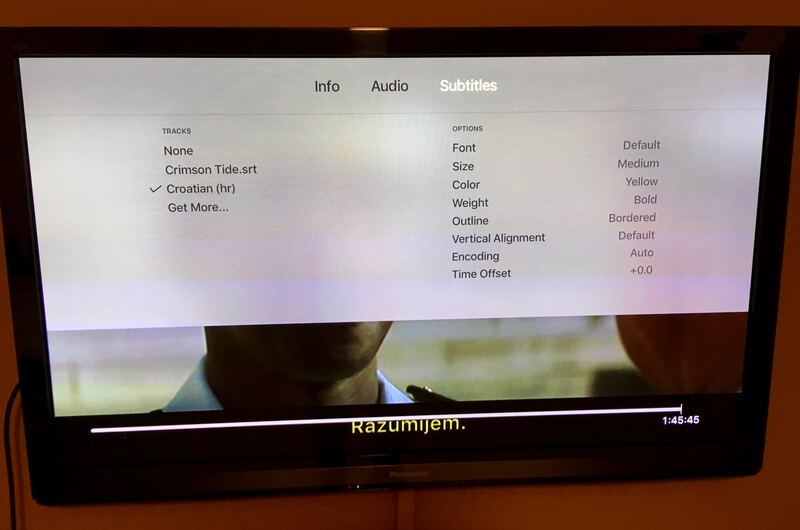 Your Apple TV runs a special version of iOS, called tvOS. 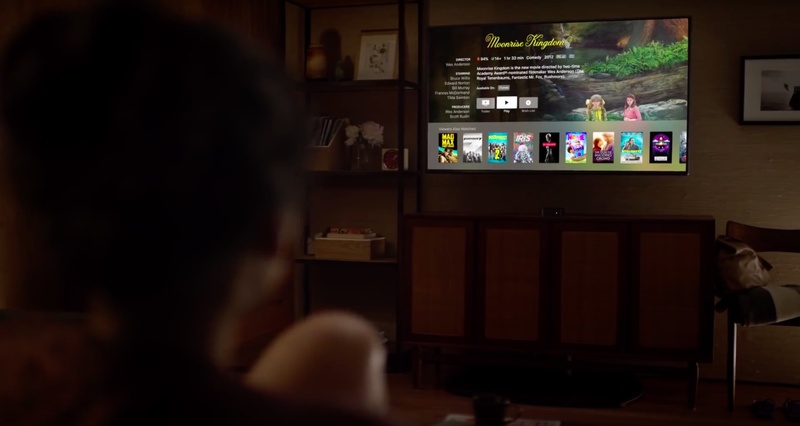 Now, the tvOS operating system includes an iPhone-like app switcher which permits you to switch between running apps and force-quit individual apps on a whim. Invoke app switcher—To switch between running apps quickly, double click the Home button to see your recently used apps. Select an app in app switcher—In the tvOS app switcher, swipe left or right to select a running app, then click the Touch surface to switch to it. Switch to the last-used app—In the tvOS app switcher, click the Touch surface to switch to the last used app. Force-quit an app—In the tvOS task switcher, select an app and swipe up to kill the process and free up the RAM. Exit app switcher—To exit the app switcher and return to the Home screen without switching apps, click the Menu button on the remote. 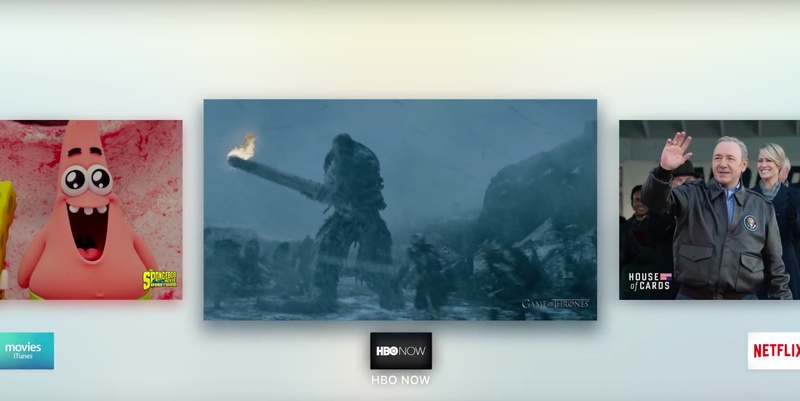 Jeff’s video gives a hands-on demonstration of the Apple TV’s app switcher. 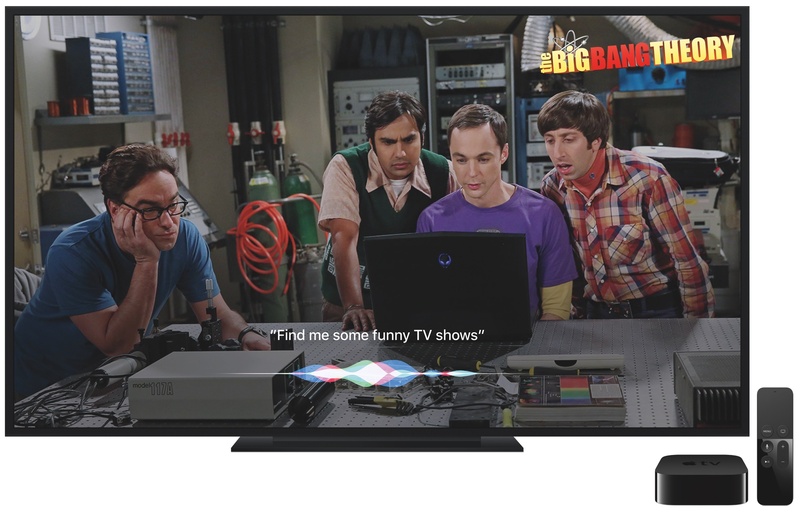 Siri has a dedicated button on your Apple TV. To use the voice assistant, click and hold the Siri button on the remote and ask your question, then release the button. Clicking the button once will bring up tips and suggestions on using Siri. Keep in mind that Siri doesn’t talk to you in order not to interrupt media playback. You can ask Siri to check the weather and sports scores, search for movies across multiple apps at once, search for songs and albums if you’re subscribed to Apple Music and more. For some results, you can swipe up on the Touch surface to reveal more information. For instance, swiping up may show more detailed weather forecast or sport scores. To launch an app using your voice, click and hold the Siri button and speak an app’s name or say “Open [APP NAME]” if you have multiple apps with similar names. If you simply say aloud an app’s name, like “YouTube,” and Siri is unsure which one she should open, you’ll be presented with multiple matches to choose from. Other verbal forms are supported, too: you can ask Siri to “Go to Photos”, “Open the App Store”, “Open Settings”, “Watch Hulu” and more, and she’ll do the right thing. 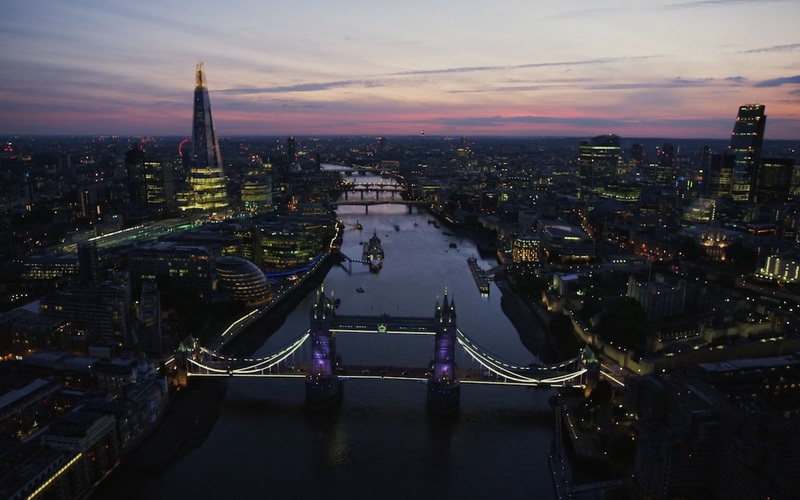 To start your default Apple TV screen saver, click the Home button twice. VoiceOver, a feature that speaks the names of on-screen icons, labels and settings, can be turned on and off by clicking the Menu button three times in quick succession. If your Apple TV starts speaking the names of icons or settings out of the blue, chances are you have accidentally turned on VoiceOver. To disable VoiceOver, go to Settings → General → Accessibility. You won’t need to manually update the Siri Remote’s firmware software. Remote firmwares are normally distributed as part of tvOS software updates—unless Apple decides to push an emergency software for the Siri Remote to fix a critical bug. To manually check for firmware updates for the Siri Remote, go to Settings → Remotes and Devices → Bluetooth, highlight your remote in the interface and click the Play/Pause button four times quickly. Focus should return to the Remotes and Devices menu. Any remote firmware, if available, shall now be downloaded in the background and installed when both the Apple TV and Siri Remote are not in use. The remote firmware update process can take from 10 to 30 minutes. Once the new firmware has been installed, the Siri Remote will restart (which may take about 30 seconds) and during this time no touch or button events will be sent. You can restart the Apple TV by choosing Settings → System → Restart. This can be quite cumbersome but, thankfully, the Siri Remote gives you a very handy, time-saving shortcut to restart the Apple TV: just hold down the Menu and Home buttons and release them when the Apple TV’s LED starts flashing. You can tell your Apple TV to go to sleep by clicking and holding the Home button, then choosing Sleep in the pop-up menu. Or, go to Settings → General → Sleep Now. To rearrange icons on the Home screen of your Apple TV, click and hold the Touch surface on the Siri Remote until the icons start wiggling. You can now swipe up, down, left or right on the Touch surface to move the icon to a new position. Click the Touch surface to confirm the new position. 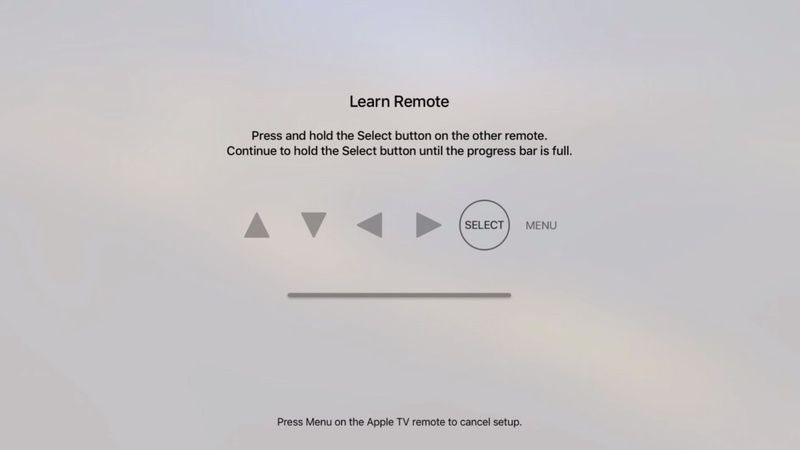 To remove an app from the Home screen and delete it from your Apple TV, first enter the wiggle mode by clicking and holding the Touch surface. 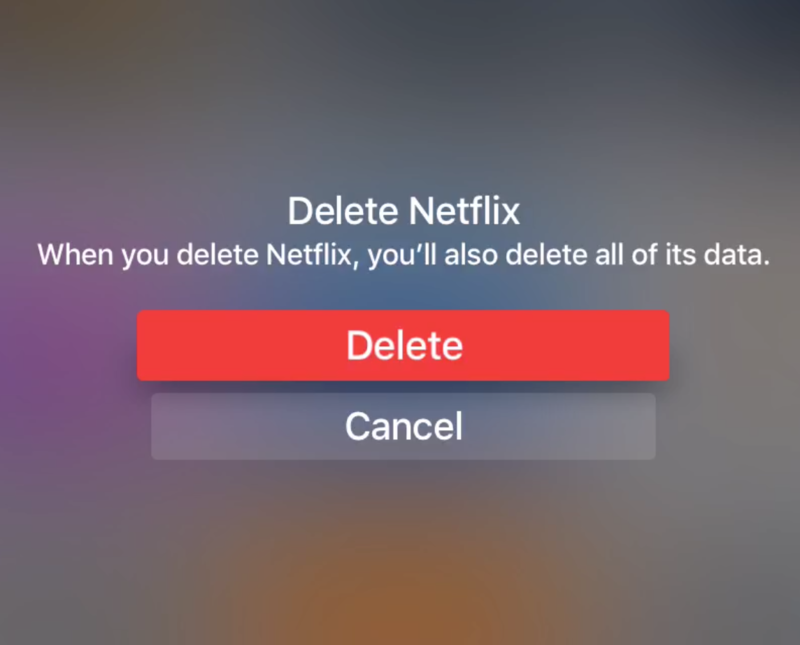 With the icons wiggling and an app highlighted, click the Play/Pause button on the Siri Remote, highlight the Delete option and confirm your choice by clicking the Touch surface. The selected app along with its data will get instantly deleted. To quickly remove multiple apps, click the trashcan icon next to them in Settings → General → Manage Storage. Use the Touch surface and buttons on the Siri Remote to play or pause movies, shows, songs and other media content in apps like iTunes Movies, Hulu, Apple Music and more. To show or hide on-screen controls when your media is playing, click the Play/Pause button or rest your finger on the Touch surface. Clicking the Touch surface during playback will pause your content and show the preview window. 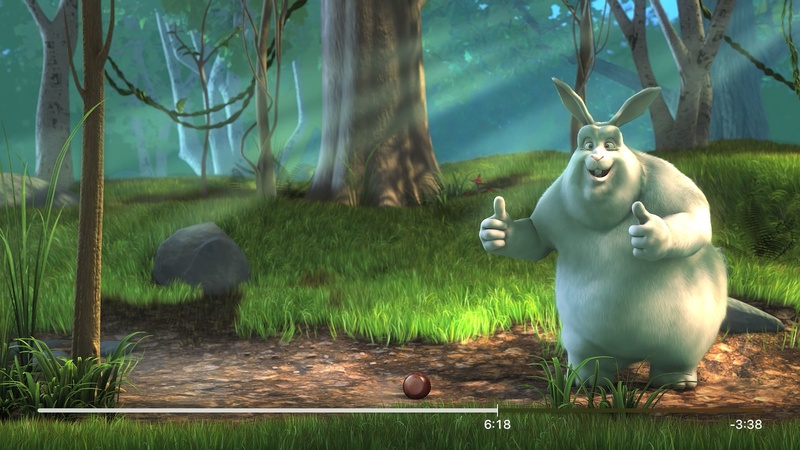 Video content—Swipe to the right or hold down the right side of the Touch surface to fast-forward the video, then release to resume playback. During playback, clicking the right side of the Touch surface will skip ten seconds ahead. Click again to skip another ten seconds and so forth. To skip back ten seconds, click the left side of the Touch surface. Skipping forward won’t work during Hulu ads. Audio content—Click and hold down the right side of the Touch surface to fast-forward, or click the right side of the surface to skip a selection. Video content—Swipe to the left or hold down the left side of the Touch surface to rewind the video. Audio content—Hold down the left side of the Touch surface to rewind audio. Click the left side of the Touch surface to restart a selection. To play the previous selection, click the left side of the Touch surface twice. To pause video playback, click the Play/Pause button. To play or pause your music, choose a song and click the Play/Pause button. With the video playing, click the Touch surface to pause playback and show a preview window denoting the current playback position. Now swipe left or right on the Touch surface to move back or forward in time and then click the Touch surface again to start playback at the new position. If you accidentally touched the Touch surface during playback, or have scrolled forward and now want to resume playback at the original position, click the Menu button. You can also ask Siri to “Skip forward 10 minutes,” “Go back 30 seconds,” “Play this from the beginning” and so forth. And if you ask her, “What did he/she say?,” the video will rewind 15 seconds and subtitles will be turned on for you. During video playback, swipe down to reveal the Info menu, where available. Swipe left and right to browse available options in the menu, which typically include information about the video being played, audio options and more. You can access settings like subtitles, closed captioning, video chapters, audio and speaker settings to control how you want to enjoy your content. The breadth and the number of options you see in the Info menu varies from one app to another. In the Music app, click the Touch surface when a song is playing to see all of the tracks on the album or playlist. Swipe up and hit the ellipsis icon for more options. 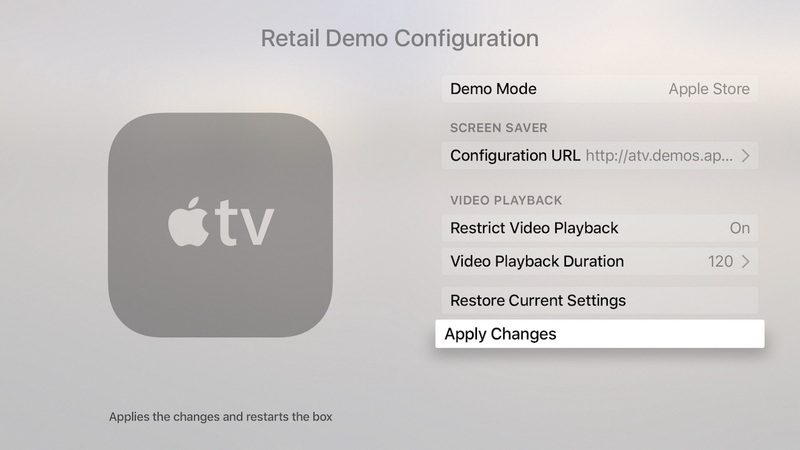 tvOS includes a hidden Demo retail mode which lets you restrict video playback to a specific duration, locks down settings and establish a custom URL for the system screen saver feature to play your own custom screen savers and more. To put your Apple TV into this mode, go to Settings → General section, highlight the About option and then click the Play/Pause button four times in quick succession. A hidden menu will present itself. Now click the Demo Mode panel and select various options for setting retail demo mode type and more. Choose Apply Changes to enable Demo mode. To exit Demo mode, re-enable the panel and choose the Off option. tvOS has another hidden mode that you can activate on the Apple TV to reveal advanced settings which are not normally exposed through the built-in Settings app. To enter this mode, go to the System → General section, highlight the Software Updates option and click the Play/Pause button on the Siri Remote four times quickly. The Advanced Settings menu shall appear beneath the Automatically Update heading. 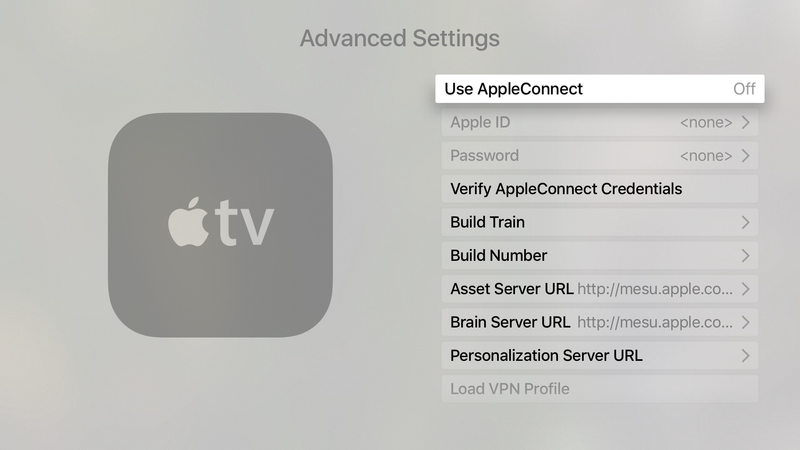 Click that option to adjust advanced settings like your AppleConnect login credentials, VPN profiles, sleep delay and more. You are now officially a pro when it comes to making the most of your Siri Remote. While we’re at it, see how you can use the Siri Remote on your Mac or check out how you can program your existing infrared remote to control the Apple TV. Speaking of tips and tricks, learn how to use iPhone’s EarPods headphones like a pro. For even more how-tos, browse our complete how-to archive.